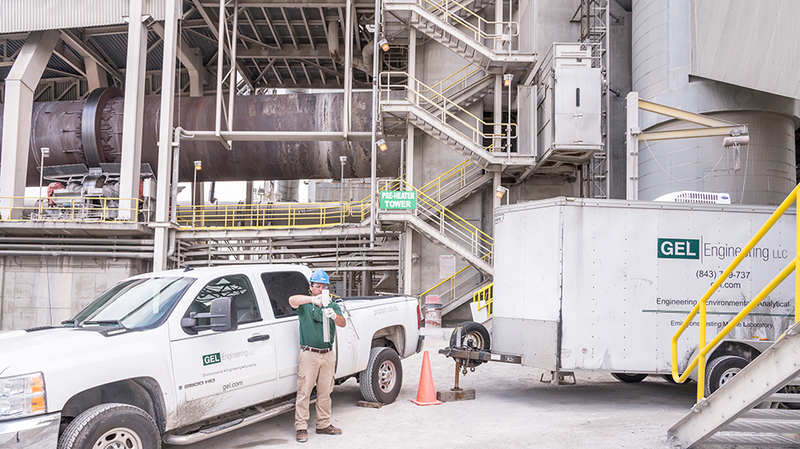 Our emissions stack testing experts work closely with your organization to help you comply with EPA, state and local regulations. Are you expanding your plant or changing a process? Adding new product lines? To make such important decisions, you need accurate and timely emissions stack testing and often engineering evaluations. GEL Engineering provides emissions testing and air pollution source testing. Our staff expertise allow us to deliver cost-effective solutions to our clients. GEL Engineering stack testing technicians sample gas streams to determine pollutant concentrations, emission rates, or other process based emission parameters for regulatory compliance. They can also perform engineering tests to verify that air pollution control devices are meeting manufacturer performance specifications. The U.S. Environmental Protection Agency (EPA) has published stack testing procedures for numerous but not all pollutants. GEL Engineering has experience preforming nearly every published EPA stack sampling procedure. GEL Engineering can also develop stack testing procedures for those pollutants without published procedures. GEL Engineering’s scientists and field technicians work with federal and state agencies to obtain validation of the newly developed stack testing procedures. Due to the complexity of stack sampling methodology, experience in the field is paramount. GEL Engineering’s team of stack sampling professionals has an average of over a decade of experience in the field (compared to the industry average of three years). GEL Engineering stack testing results can be used by the facility to evaluate operation of a production process and/or determine that air pollution control equipment is operating properly. Air operating permits often include stack testing requirements. GEL Engineering's stack testing results are used by a facility to confirm that emissions are in compliance with the applicable permit limits. Regulatory agencies are increasing the use of CEMS to demonstrate compliance with permit emission limits. A properly operating CEMS is critical to ensure that a facility receives accurate data when demonstrating compliance. GEL Engineering has the technology and the knowledge to evaluate a facility’s CEMS and provide recommendations when problems are found. Federal and state regulatory agencies require annual audits to confirm that the facility’s CEMS are operating properly. This audit involves a comparison of the CEMS analyzer data to that of another analyzer or data from a different test procedure. Federal regulations require that a quarterly calibration error test be performed on sources that are required to operate CEMS. This involves challenging the analyzers with EPA Protocol 1 calibration gas at multiple concentrations. GEL Engineering has a variety of Protocol 1 calibration gases and an EPA certified calibration gas diluter, which streamlines this procedure. GEL Engineering has mobile stack testing trailers equipped with state of the art pollutant emissions measuring equipment that allows on site data reporting for pollutants such as total hydrocarbons, carbon monoxide, sulfur dioxide, nitrogen oxides and mercury. Innovative program design. At GEL Engineering, we design test programs for difficult or unusual sources frequently, and we work with facility engineers to perform detailed evaluations of process equipment performance. Fast turnarounds. 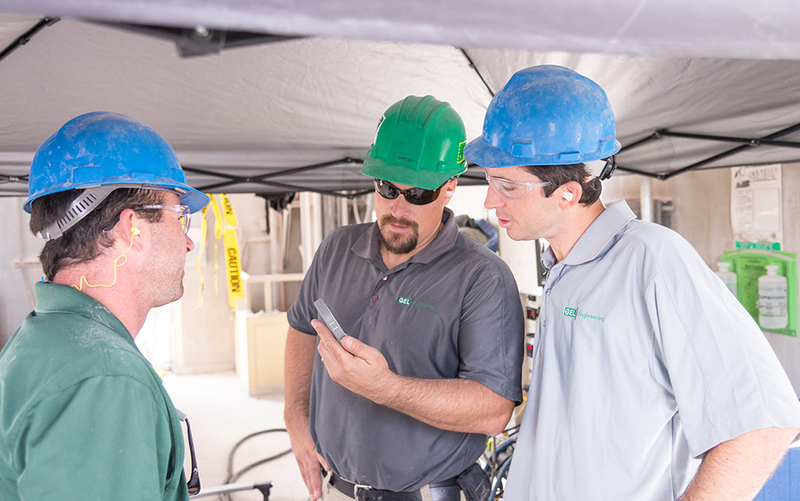 We understand that the need is for expedient and efficient process with minimal downtime for your facility—without compromising quality. Our responsive customer service and project management processes developed over three decades of serving our clients achieve exactly that: accurate results inside critical timelines. Contact us to learn more about our emissions testing services.